Preparing for months of battle over who should pay the estimated $4.1-billion cost of permanently shutting down the San Onofre nuclear power plant, which closed in June, Southern California Edison has launched a public relations campaign suggesting that ratepayers pick up part of the cost. Who pays—ratepayers, stockholders, equipment manufacturers or insurers—is expected to be a long and thorny dispute before state and federal regulatory agencies as well as in the courts. On the eve of legislative hearings Tuesday on the issue, the utility offered its 4.9 million customers a preview of its point of view in an advertisement published in the Los Angeles Times. Closing the power plant is in the “best interests” of customers, it said, and ratepayers should be prepared to pitch in. The company discovered that hundreds of new steam generating tubes were wearing out, and it determined that keeping the plant open till the problem was resolved would be too costly. “[I]f a utility asset must be retired before the end of its expected life, the utility recovers from customers its reasonable investment costs,” Edison wrote. Edison released the public letter because “it was important to make sure our customers know about how the utility business works, and why there is such a thing as ‘cost recovery,'” said company President Ronald L. Litzinger in a statement posted on the Internet. Those costs, ultimately, will be apportioned by the California Public Utilities Commission. Critics fear that Edison may try to assign much of its costs to ratepayers instead of the utility’s shareholders. “The defining proposition here seems to be that the customers pay 100% of everything,” said Matthew Freedman, a staff attorney with the Utility Reform Network, a San Francisco advocacy group. “Our general position is that Edison is primarily responsible for the mistakes made at that facility, and that their shareholders should be required to pay” for losses caused by the botched San Onofre repowering. The cost and technical aspects of the San Onofre decommissioning are the subject of a special hearing Tuesday of the state Senate Energy, Utilities and Communications Committee. Officials from Edison, the PUC and the federal Nuclear Regulatory Commission are scheduled to testify. 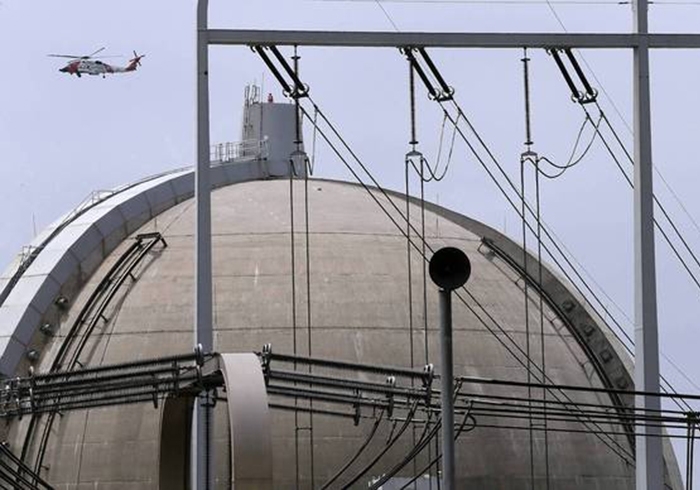 The Rosemead-based utility announced the permanent closure of two units of the 2,200-megawatt San Onofre Nuclear Generating Station on June 7. The facility had been closed for more than a year before the decision because of a small radioactive leak in a newly replaced steam generator system. Experts cite many variables in calculating the cost of decommissioning the two reactors, including the expense of building alternative, non-nuclear power plants. Edison pegs the cost at $4.1 billion to safely dismantle Units 2 and 3. Unit 1 was decommissioned in 1992. Much of the cost has already been paid by customers. About $2.7 billion in ratepayer money has accumulated in a special Edison decommissioning trust fund as of March 31. Two minority partners, San Diego Gas & Electric Co. and the city of Riverside electric utility, had collected an additional $927 million as of December. Other funding could come from insurance settlements and a legal proceeding against Mitsubishi Heavy Industries of Japan, which manufactured the steam generators. Mitsubishi executives concede that a previously unknown phenomenon caused the pipes to vibrate and leak, preventing the plant from producing electricity. San Onofre is the largest of four commercial nuclear power plants to be closed in California. The Vallecitos Nuclear Power Plant, jointly built by Pacific Gas & Electric Co. and General Electric Co., operated from 1957 to 1967 near Pleasanton in the Bay Area. The Humboldt Bay Nuclear Power Plant in Eureka ran from 1963 to 1976 and won’t be fully decommissioned until 2015 at the earliest. The Rancho Seco plant, owned by the Sacramento Municipal Utilities District, closed in 1989 after 14 years of operation. Voters authorized closure in a referendum. The only nuclear power plant still generating electricity in the state is Diablo Canyon on the coast near San Luis Obispo, owned by PG&E. It went online in 1986. One unit is licensed to operate until 2024 and the other until 2025.